Pray for the dead, and fight like hell for the living. wall wednesday continues, but today's wall is a bit different than the mouse's usual offerings. today's wall comes from the miners memorial park in coaldale, pennsylvania. 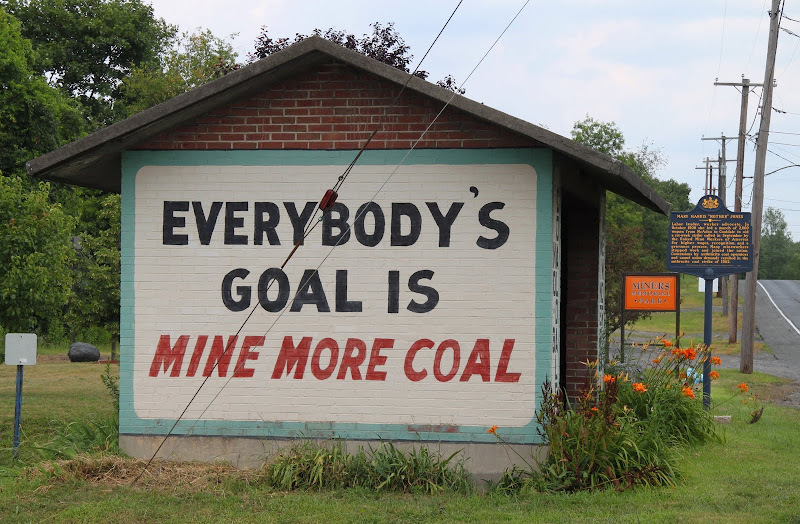 despite the saying on the wall, please do not think i am advocating mining more coal - remember this is a memorial. perhaps i will discuss coal's role in global climate change at a later date; but today's post is all about remembrance. on the day we headed home last month from the family reunion in northeastern pennsylvania, f and i first meandered about conducting a bit of ancestor road tour. it was a perfect compliment to the weekend which was all about family. after paying our respects to the family members buried in st. mary's cemetery in mcadoo pennsylvania (great-grands, grands, aunts, uncles, and a couple cousins) we headed to tamaqua. 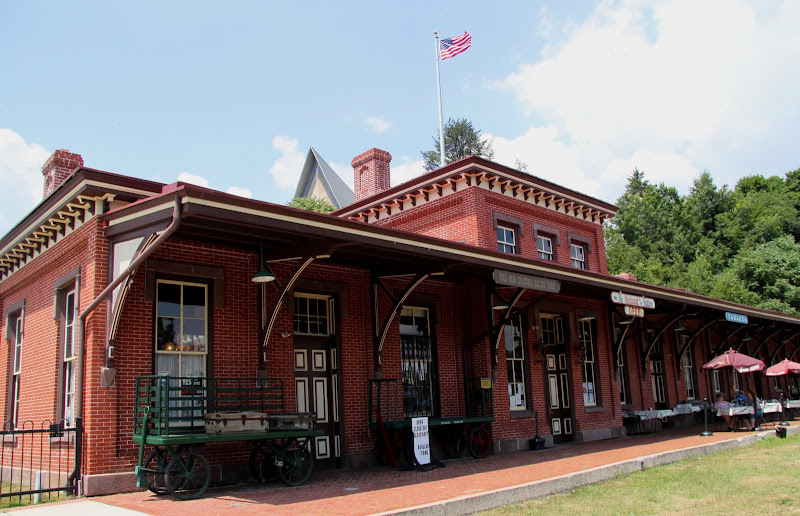 we had heard that some of the family had purchased bricks at the recently renovated train depot to commemorate the years of service of grandpap and two uncles. 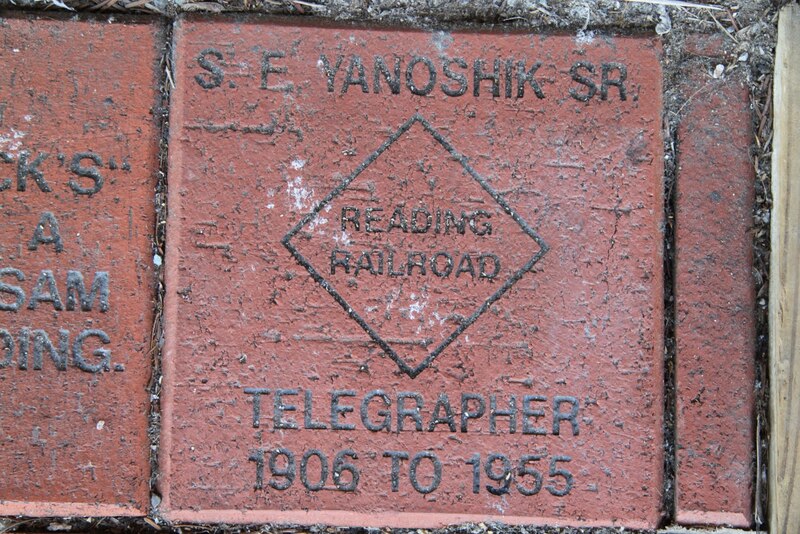 we did find all three bricks - and grandpap and uncle stef's bricks are located in what i call areas of real honor - to the left and right of the main front entry door! 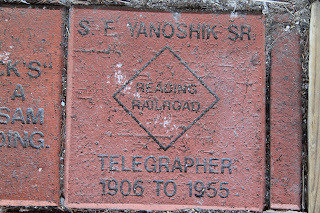 to the left is grandpap's brick - and those years 1906 to 1955 are his years of employment. grandpap was born in 1888. wow, it's a shame he didn't make it to 1956 to make an even 50; but yowser, 49 years working for the same company. not many can claim that - especially today! after wandering about the town of tamaqua on foot, we jumped in the car. i noticed on the map that we were close to coaldale, the birthplace of my mother's mother, so we decided to make coaldale our next stop. my grandmother didn't live long in coaldale, but she was born there and i thought it would be interesting to see what the town looks like. coaldale is one of the many coal patch towns that are peppered in the mountains of this part of pennsylvania, there is still active mining going on in coaldale unlike many of the other towns in the area. 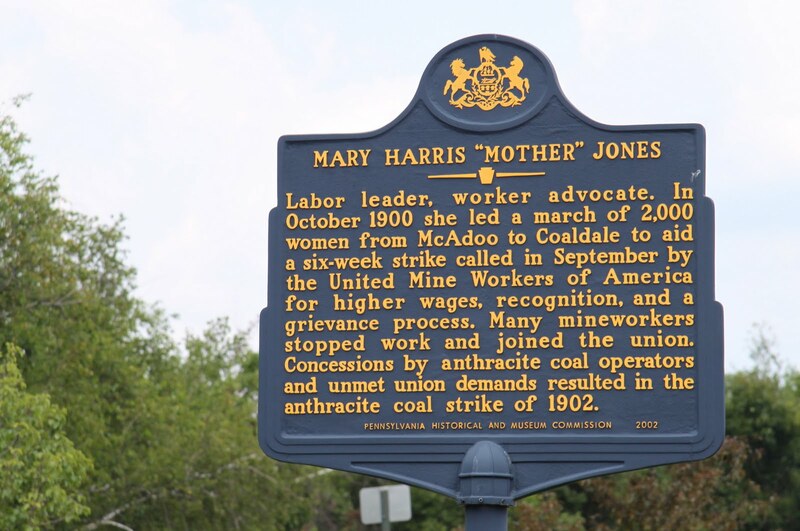 what a surprise to discover that one one of my historical heroes also visited the town - mother jones! the historical marker above was erected in 2002 and provides information about a march in october 1900 that mother jones led of 2,000 women. the women marched from mcadoo to coaldale to support striking mine workers. the march was a bit before that grandmother's time - she was born in coaldale in 1907, but my grandpap was twelve years old in 1900 and living with his family in nearby lofty (a very small town adjacent to mcadoo). how i wish i had known about this march when grandpap was alive i would have asked him to tell me about it. he was a wonderful storyteller and was blessed with a memory like an elephant. it seems natural to close today's post with mention of one more family member. today is the birthday of my beloved father. had he lived he would have turned 89 years old - although he didn't make it to 89 he did make it to the wonderful age of 88 - which coincidentally was the same age his father made it to. below is a the only photo i know of my dad when he was a baby. it was taken in the family home in lofty. sweet honey and the rock singing their musical rendition of senegalese poet birago diop phenomenal poem ancestors breath. 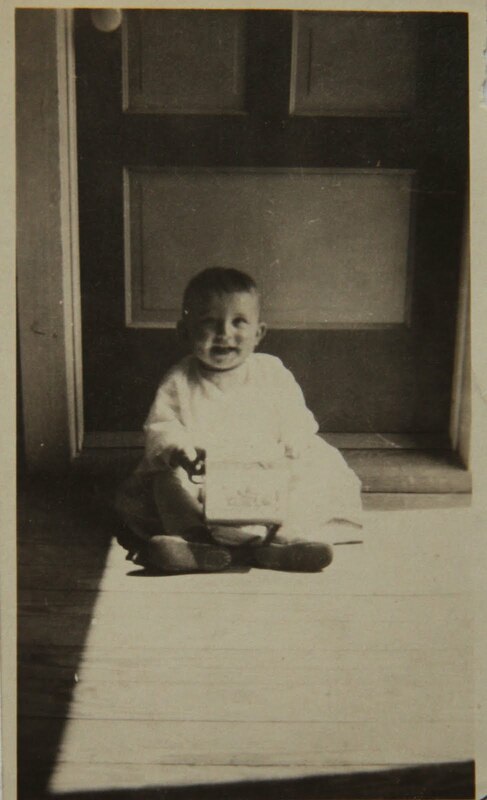 I subscribe to mother jones online...cute photo of your dad as a baby...and like Tony says...a beautiful post. Thinking of you today and sending some light and love. A fabulous post Kim. We tend to know all the famous sights of the USA so well, from films and TV and the rest. But this post somehow gets below the surface and shows us the real USA, the home of real people, real heroes. What a neat diversion on your trip! And it's cool that you found the bricks representing your ancestors. I have to look up Coaldale now, just to see where it is.